What's Your Electronic Claim Turnaround Time? Time is money. With your electronic claims, monitoring the time it takes to get paid can give you critical insight into your claims management performance and provide guidance for increasing your claim reimbursement revenue. While some claims management reports are straightforward, others require you to dive into the data to get a full understanding of the results. When it comes to measuring the average claim processing time, you need to analyze the results to ensure the data is accurate. In this post, we reveal the average claim processing time and provide tips on what to look for if you don’t fall within the benchmark. 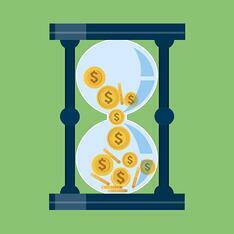 How Long Should It Take For Your Electronic Claims To Be Paid? When factoring rejections, your practice’s average insurance claim processing time should take between 10-12 days. Recording a time that’s above 12 days could signal a workflow issue that is causing your claims to pile up. Was there a Practice Management glitch that prevented your claims from transmitting properly? Or, has an increase in patient visits overwhelmed your billing manager with more claims to manage than they can handle? When your processing time is above 12 days, take a look at your practice workflow to ensure it’s optimized for efficiency. While a low number may indicate that your practice is successfully managing your insurance claims, it may also indicate inaccurate data. It’s common to have some rejected and denied claims. Missing information may be one of the reasons for a rejection to come through. If your practice is seeing claim processing averages that seem to be too low to be true, verify that rejections and denials are being worked and resubmitted correctly. Often, rejected and denied claims go unworked because the billing manager is operating at max capacity pulling benefits and submitting new claims. 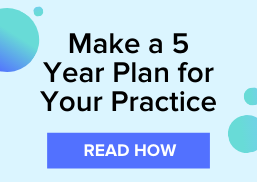 Download the "OD Growth Guide: 5 Essential Insurance Reports" for more information on the insurance reports your practice needs to track.